The House of Representatives voted to impeach President Andrew Johnson on Feb. 24, 1868 — 151 years ago — and the build-up to the decision would have a lasting impact on tenure for the U.S. government. Johnson, a Democrat, was the first president to be impeached, but the story begins long before House members voted 126-47 in favor of an impeachment resolution. The impeachment didn’t end with a vote, either — a contentious trial with a surprising outcome followed in the months after the House’s vote. Johnson, a U.S. senator for Tennessee, was the sole senator to support the Union despite coming from a seceding state at the start of the Civil War in 1861, according to History. 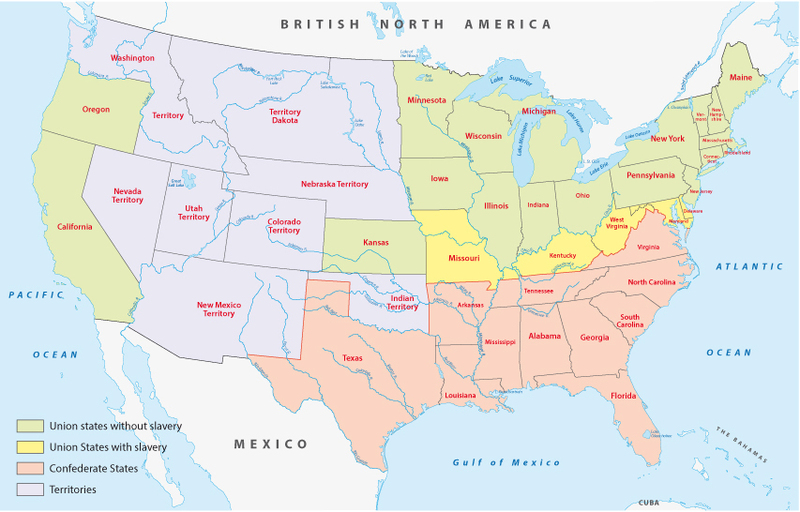 Southern states began seceding from the Union when President Abraham Lincoln was elected in 1860. 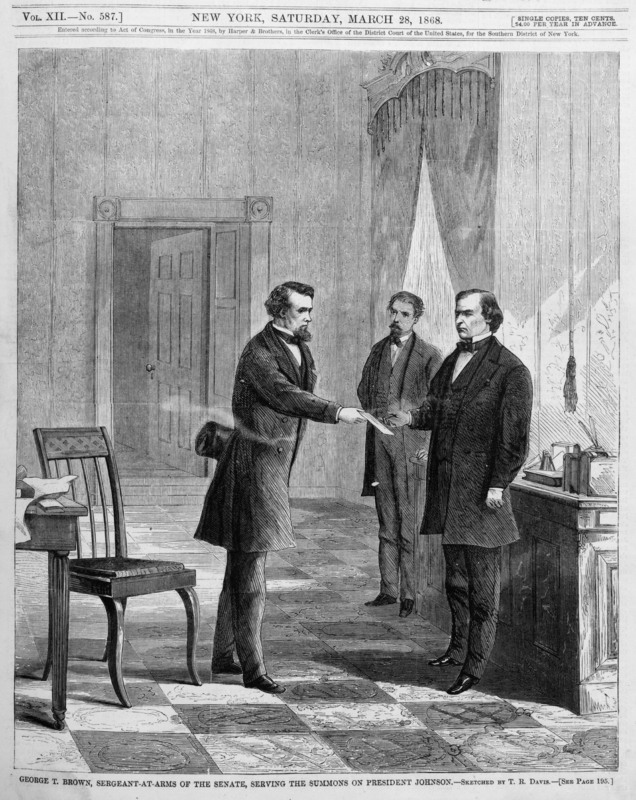 Lincoln rewarded Johnson for his loyalty by making him the military governor of Tennessee in 1862. Johnson was later elected as vice president under Lincoln’s tenure in 1864. The Civil War ended after the Confederacy surrendered in 1865, the same year Lincoln was assassinated. Johnson took over as president and the response was initially optimistic, according to the Senate. Congress became upset, however, after discovering Johnson’s views on rebuilding the South. Johnson’s Reconstruction plan included forgiving ex-Confederates and giving local Southern governments power to enforce “Black Codes” to increase control over former slaves and African-Americans. Radical Republicans in Congress wanted stricter rules for Confederate states to regain entry into the Union and wanted freed African-Americans to be included into society. Congress and Johnson did not want to compromise and clashed as a result. One of the clashes included Congress passing the Tenure of Office Act in March 1867 despite a veto from Johnson. The act prohibited a president from firing any official without consent from the Senate, which Johnson believed was unconstitutional. The Supreme Court deemed the act unlawful in 1926, according to Britannica. Many congressmen endorsed the idea of impeachment in mid-1867, according to the U.S. Senate. But the final blow was when Johnson fired Republican Secretary of War Edwin Stanton, an ally for many congressmen, according to Smithsonian. Firing Stanton was not just a political disagreement — it also tested the constitutionality of the act. Kansas Sen. Edmund Ross was expected to vote guilty, but voted in favor of Johnson at the last minute. One theory suggests Ross made the controversial decision because he was enemies with Senate president and Republican Benjamin Wade, who would become president if Johnson was impeached. Another theory suggests Ross might have been after a $150,000 fund set up by Johnson supporters, the National Constitution Center reported. Iowa Sen. James Grimes was one of the 19 to vote not guilty, according to the U.S. Senate. “I cannot agree to destroy the harmonious working of the Constitution for the sake of getting rid of an Unacceptable President,” Grimes said.